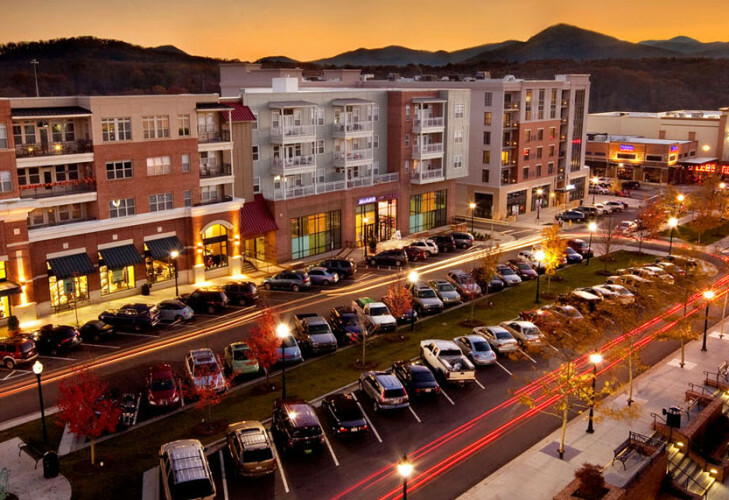 Biltmore Park Town Square is a $204 million mixed-use regional destination community in south Asheville, located at Interstate-26 and Long Shoals Road. 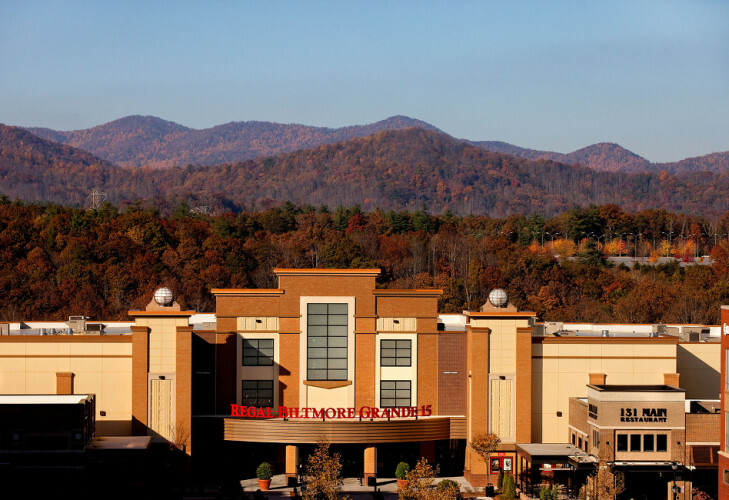 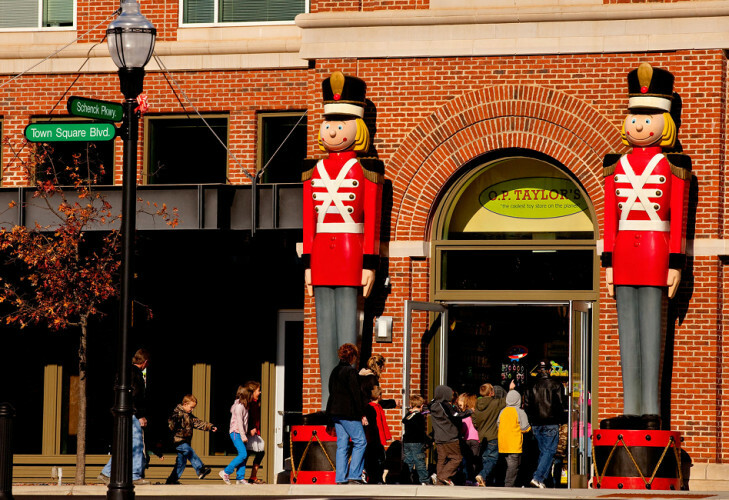 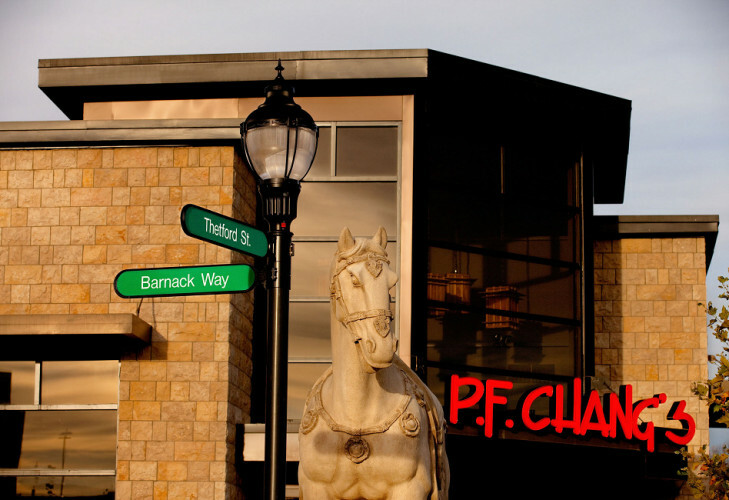 Offering the area’s only prime, mixed-use space for lease, Biltmore Park Town Square was a joint venture between Biltmore Farms and Crosland. 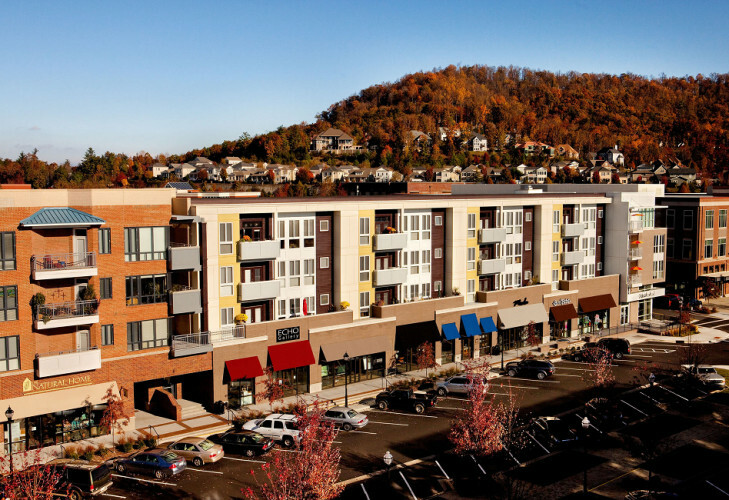 Inspired by New Urbanism principles, this progressive, one-of-a-kind development honors the tradition of its surroundings while adding energy and excitement to the community. 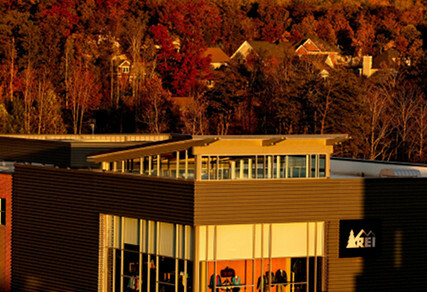 The town center includes a state-of-the art 65,000 sq ft YMCA; a 57,000 sq ft Regal Cinemas®, boasting stadium style seating and 15 screens; Barnes & Noble; REI; and Volvo Construction Equipment’s North American Headquarters. 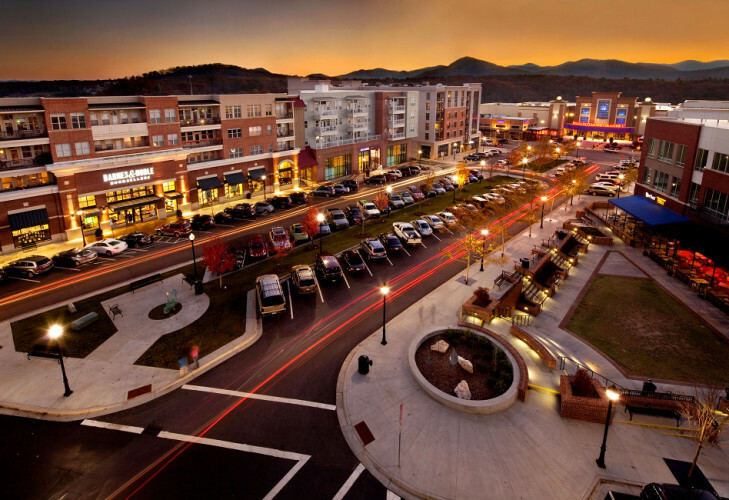 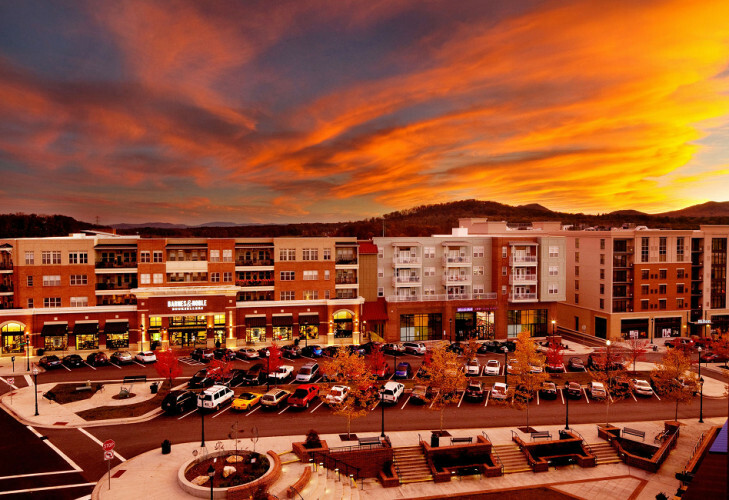 With Asheville’s status as the largest, fastest growing city in Western North Carolina and consistent rating among the nation’s top 10 cities for relocation, this region will continue to draw the attention of retailers, restaurants and employers. 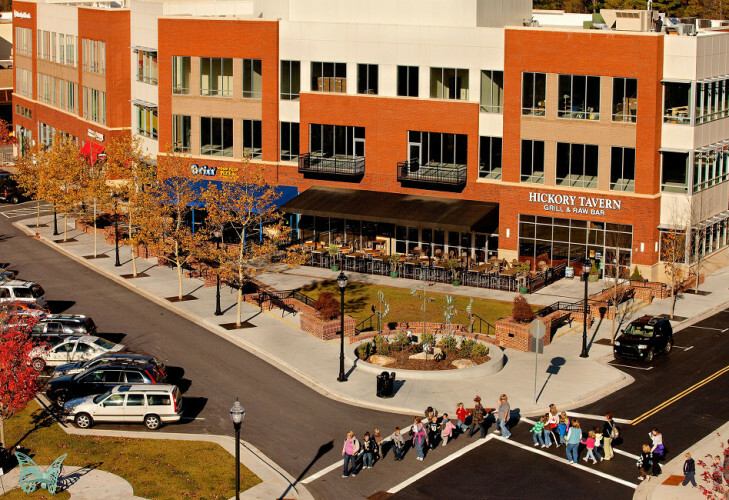 The 42-acre Town Square includes 285,000 sq ft of specialty retail and restaurants, 270,000 sq ft of Class-A office space, a 165-room Hilton Hotel, and an urban residential component comprised of approximately 274 Class-A apartments, condominiums and townhomes, now leasing and selling.